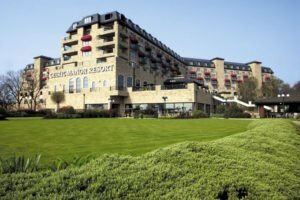 This year’s BVAA Spring Conference is taking place not far from the Hobbs Valve HQ stomping ground, at the world-renowned golf course and hotel, the Celtic Manor in Newport, Wales. Hobbs Valve, part of the Great British Valve Group, is sponsoring this year’s event, and members of the GBVG team look forward to networking with you at this premier location over the course of two days. The conference will take place on Wednesday 17th May with an industry golf event on the following day. Attendees will be able to enjoy presentations from keynote speakers while the conference will feature an exhibition area for suppliers to the valve and actuator industry to showcase their products and company. The BVAA represents the interests of over 200 British companies which are responsible for over £1billion sales each year. For more on the event, see the BVAA’s website here.